The sinuses are air passages located in the face; behind the eyes, behind the nose and on the cheekbones. These passages have a thin layer of skin, which can be irritated when bacteria or fungi has penetrated. There are two causes of the easy penetration of bacteria. One of the causes is dryness. When the opening of the nose dries up and the mucous membrane breaks, it is extremely easy for bacteria to go inside. And the most comon symptom is sinus pressure. This results in pain within your face, behind the eyes and cheeks. This is caused by a lot of mucus. Extra mucus in your cavities and swelling, blocks the passageways, thus increases your sinus pressure. That is why you feel pain. When a person is suffering from colds for how many days already, bacteria starts to build up in the sinus area. They grow in number until their presence already causes infection. Sinusitis is a particularly common complication that can be treated with the use of natural techniques. 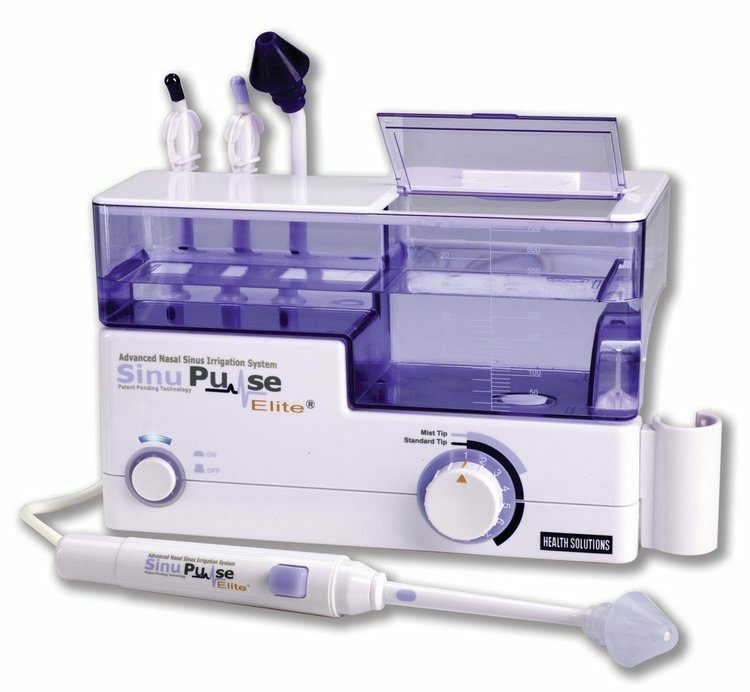 The most common treatment for bacterial sinus infection is steaming. In using this method, there are additional things that will make it more effective. Steaming does a lot of wonders including improvement of drainage; the warmth of the steam can also soften dried mucus that are blocking the air passage. Onions naturally contains sulfur that can be helpful in killing bacteria. When chopped into little pieces and placed in boiling water, it can be a remarkably effective steam. Just inhale the steam with your mouth. While it is still hot, one can also drink it up to eliminate bacteria in the throat. Horseradish can heal sinus infections. Like the onion, it can also be a bacteria exterminator. Chop it into little pieces, take a pinch of it and place in your mouth. Keep it there for a couple of minutes. It will produce components that will evaporate to the air passage and eliminate the bacteria build-ups. When the flavor has evaporated, swallow it in order to wash up the remaining bacteria in the throat. Apple Cider Vinegar and Tea Tree oil can also be effective when mixed with juice or used in steaming. These things will aid in sinus congestion relief. This can be mixed with juice and be taken daily. When used in steaming, fifty percent of ACD and fifty percent of water is an excellent solution. For the Tea tree, the patient can add three drops in boiling water. Other effects of sinusitis are headache and the pain around the eyes and sometimes in the upper teeth. For people who are at work, painkillers can help the person a lot in temporarily relieving the pain. Ibuprofen is the best medicine for this. He should not settle just yet when he can no longer the headache or the pain. Treating the infection should be done next to avoid any other complications. Another easy remedy to lessen the pain is lying down and relaxing. Water can also wash up the mucus and eliminate bacteria in the throat. Sinus pain without congestion will also be treated just the same with medications. First, the patient must have to know if it is a fungal infection. If it is, consult the doctor for medication. If it is a dry sinus infection, there is also another treatment intended for that. Increasing the level of humidity in place can be an effective remedy. The breaking of the mucous membrane because of dryness triggers dry sinus infections. Every sinusitis related problem has its own treatment. For acute sinusitis, the patient must not worry too much. He has to exhaust all possible remedies. When it turns into chronic sinus infection, more serious remedy should be considered. Using natural techniques and treatment is easy but to make sure that he can eliminate the infection completely, the patient should consult a doctor. I’ve had a sinitus for 10 weeks now. Started with congestion in nose , everyday headaches and bad ear pressure. Pnd is thick white, pain in upper teeth and jaw. Feeling sick, lightheaded. Cannot drive too far because of this. Eye pain . There’s swellings up nostrils one is pretty large I don’t know if caused by beconase use. Or is it polyps? Hoping my ENT doctor can figure it out next week I’m getting really depressed. I have sinus since long period early i got hear loss for one year now having too much sneezing and weakness in one side body specially it starts in night around 11 pm doctor asked for surgery also said that it won’t be helpful for sneezing..could you please suggest what to do..and nobody could found the reason of my one side dizziness i am sure this also cause of sinus..